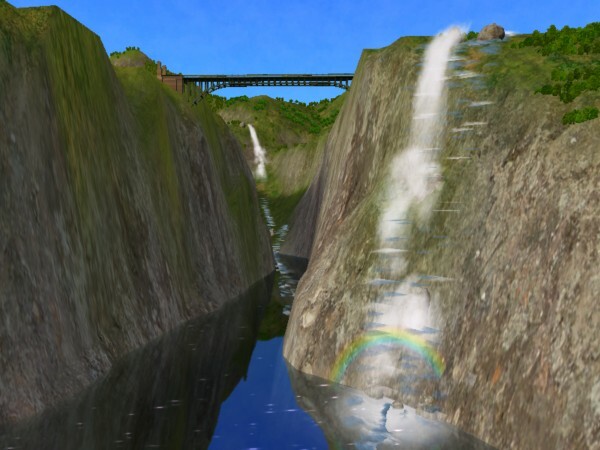 The Waterfall is a neighborhood object that Maxis (lord knows why) decided to exclude from the catalog. The files for the Waterfall were nested into the game packages, but it couldn't be found in the catalog because it was marked as "notincatalog"! Once installed the attached package into the download folders, the Waterfall can be found in the Neighborhood Catalog, "Effects" subsection. 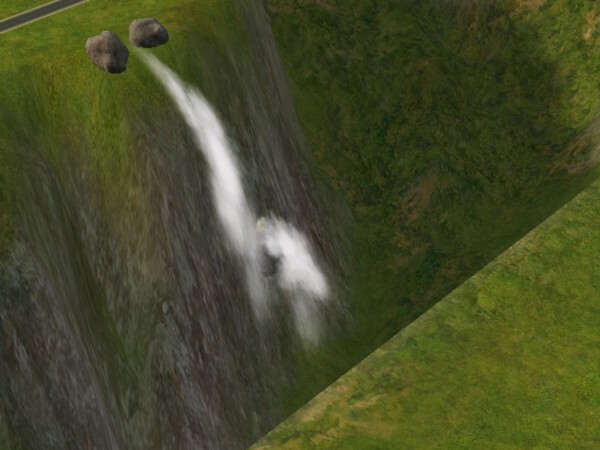 2) the "Waterfall Water Bounce", that is a boulder that creates a "water bounce" effect, and should be placed in a lower position. Note: you can use multiple "bounce" effects, one after another, for a more realistic effect. 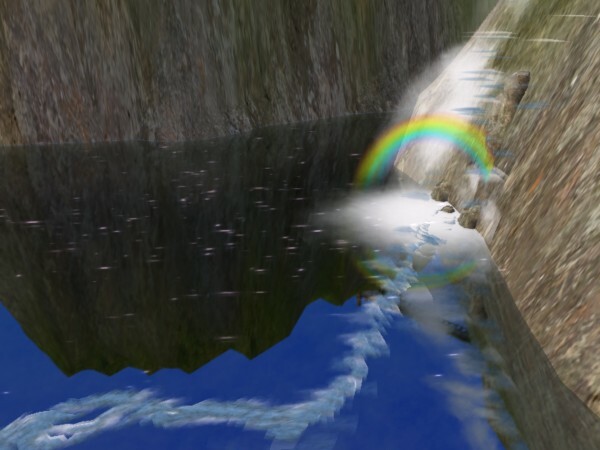 4) the "Water Stream", that can be used on solid terrain, to create rivers, or at the bottom of the waterfall, to create a stream of water into the lake. This is an amazing neighborhood effect: the water flow actually follows the shape of the ground! Maxis "Lost & Found" #20: NH *Animated* Carousel - OFB or FFS or PETS REQUIRED! Smaller neighborhood rocks, smaller/bigger palm and cactus.